Career Infographics designed for the jobseeker, the student preparing for the world of work and those looking to make career changes. The graphics are available from our poster store or can bespoke ordered below. You can purchase and download the graphics for presentation purposes only by following our link here. 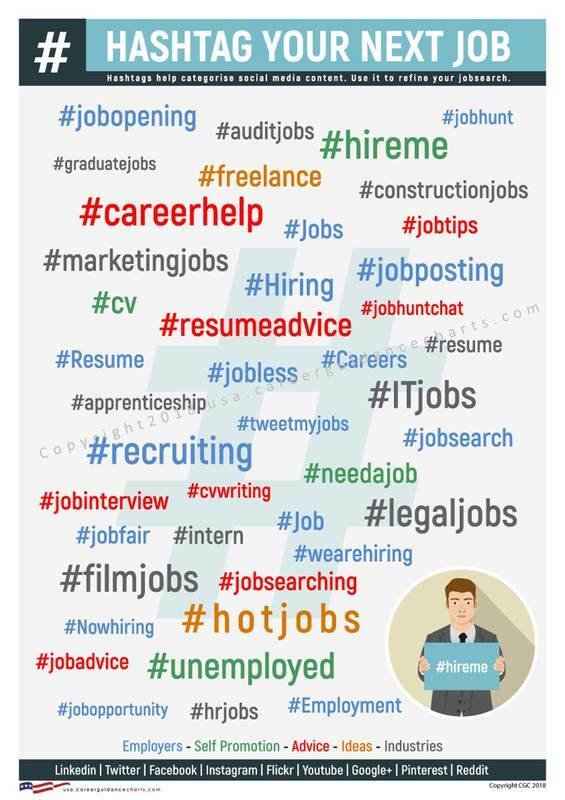 ​Over 50 Popular Hashtags for jobseekers looking to use social media for their next job opportunity. 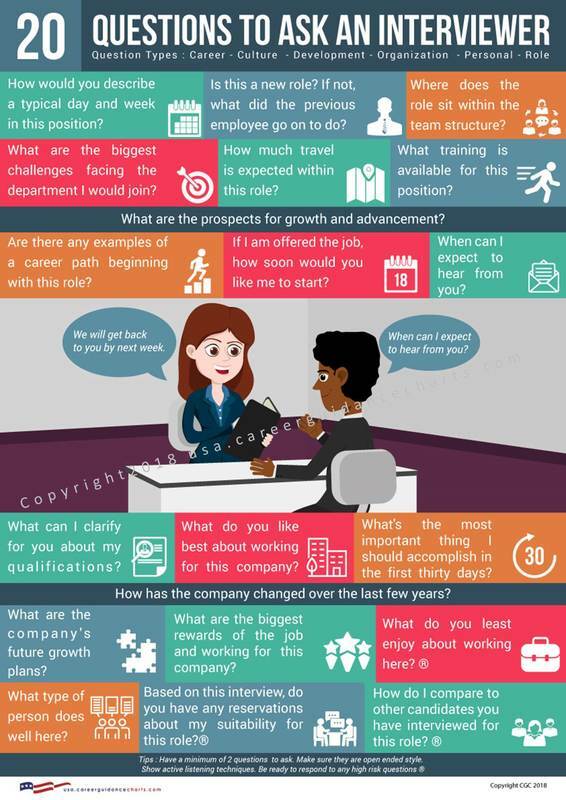 20 Key Questions to ask an Employer at the end of an interview. Includes some high risk questions. Why not add our graphic it to your next blog? or guest write for us.